Patients with COPD benefit from the Chiesi extrafine fixed triple combination ICS/LABA/LAMA: highly effective and easy to use. 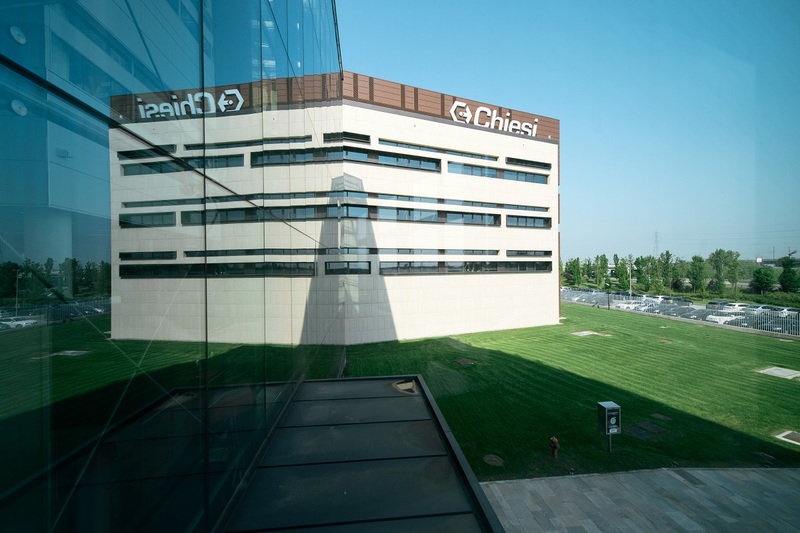 Parma (Italy), May 20, 2016 - Chiesi Farmaceutici SpA (Chiesi) announces today the completion of two multicenter clinical studies with its extrafine fixed ICS/LABA/LAMA triple combination for Chronic Obstructive Pulmonary Disease (COPD). COPD is a progressive disease obstructing both large and small airways, causing patients to have a considerably impaired pulmonary function, poor quality of life and risk to exacerbate. Patients with moderate and severe COPD are particularly prone to exacerbations and the frequency of these exacerbations increases with the severity of the disease. Chiesi extrafine fixed triple combination contains three active ingredients, the anti-inflammatory inhaled corticosteroid beclomethasone (ICS), and two bronchodilators, the long-acting beta2 agonist formoterol (LABA) and the long-acting muscarinic antagonist glycopyrronium (LAMA), in one single inhaler. Two pivotal studies, run in parallel for 12 months and involving more than 4000 patients, are already concluded. The results of the studies, show that Chiesi extrafine fixed triple combination is a highly effective treatment. It is able to reduce the yearly exacerbation rate more than 20% (which is considered the Minimal Clinical Important Difference), significantly decreases dyspnea and improves the lung function, both vs. LAMA and vs. ICS/LABA (standard therapies in COPD), while maintaining a good safety profile. These positive outcomes are well reflected in the significant improvement in the St. George’s Respiratory Questionnaire score that measures the COPD patients’ quality of life. Jørgen Vestbo, Professor at University of Manchester and Principal Investigator of one of the two studies added: “It is comforting to see that triple therapy is safe and that outcomes are so superior – probably to larger extent than we had anticipated”. “The superior efficacy in improving lung function, symptoms and quality of life, and in reducing COPD exacerbations, as compared to monotherapy or a fixed double combination therapy, shows that the extrafine fixed triple combination developed by Chiesi represents a substantial step forward in the therapy of COPD patients. Moreover, it is expected that the use of a single inhaler will lead to a greater adherence to treatment. As regards the regulatory schedule, we are on track with the plan that foresees the filing by IV quarter of the current year”. Headquartered in Parma, Italy Chiesi Farmaceutici is an international research-focused Healthcare group, with over 80 years of experience in the pharmaceutical industry. Chiesi researches, develops and markets innovative drugs in the respiratory therapeutics, specialist medicine and rare diseases areas. Its R&D centres in Parma (Italy), Paris (France), Cary (USA), Chippenham (UK) and the R&D team of the acquired Danish company Zymenex, integrate their efforts to advance Chiesi's pre-clinical, clinical and registration programs. Chiesi employs over 4,500 people, 560 of whom are solely dedicated to Research and Development activities. COPD is a respiratory disease characterized by a persistent bronchial obstruction, associated with an increased chronic inflammatory response of the airways to noxious particles or gas. The classic symptoms associated with COPD are dyspnea, chronic coughing and chronic productive sputum. In some cases, an acute worsening of the abovementioned symptoms may occur, triggering COPD exacerbation. A double mechanism is at work in the bronchial obstruction in COPD patients: on one hand, an inflammation of the small airways together with the thickening of the airways walls and increased airflow resistance may occur. On the other, a progressive destruction of lung parenchyma (emphysema) associated with the loss of elastic retraction of the lung may take place. It is important to underline that both mechanisms may coexist, leading to a global airflow reduction throughout the lungs.